This mod completely removes enemies from the game, allowing the player to play the game in a peaceful way. Twist: Enemy loot (alien artifacts) can still be acquired from a new alternative source. No enemy bases and no enemy spawning. Shotguns are kept for rock and tree clearing. Armors are kept for exoskeletons and protection from running trains. The rocket defence technology is still available if needed. 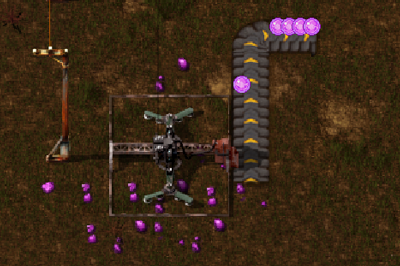 Mining an alien ore patch will simply yield alien artifacts but at a very low speed. Mining an alien ore patch will yield alien ore.
true = Mining alien ore will directly result in alien artifacts. Mining will be much longer than normal and amount will be more limited. No new recipe is added to the game. false(default) = Alien ore can be used in new recipes to get alien artifacts. true(default) = Most military tech is removed from the game except for some exceptions that still add value to the peaceful game play. false = No changes are made to tech trees so all technologies are available like in a normal game. Peace Mod in the spotlight! This is my first mod, enjoy! Thanks to cullyn for keeping this mod updated! Last edited by vachu on Sat Sep 24, 2016 6:33 pm, edited 4 times in total. Very nice! 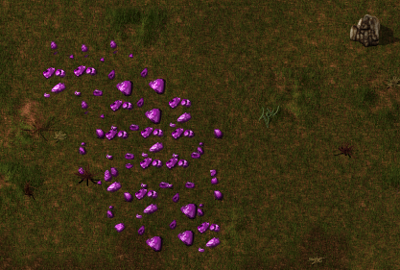 I was thinking about this recently, because most people will put alien artifacts as craftable from other items, I was wondering what it would be like if it could be gotten from ore patches. Ah, I see Alberts devpost is still having consequences. FishSandwich wrote: Very nice! 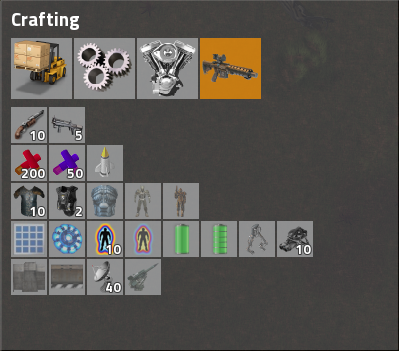 I was thinking about this recently, because most people will put alien artifacts as craftable from other items, I was wondering what it would be like if it could be gotten from ore patches. Yes, I wanted the alien artifacts to be craftable by an independent source. I always felt it was weird to craft them from potions or stuff like that... Also, I wanted a recipe that uses the same ore in multiple ways. 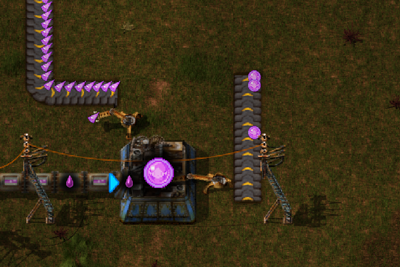 So you need to both smelt the raw ore and mix the raw ore in a chemical reaction to get the needed ingredients for the final recipe. Adil wrote: Ah, I see Alberts devpost is still having consequences. Yes, sympathy for the creeper indeed. This is a really great mod. Thanks! mod will work already started in the game? if you set. Airat9000 wrote: mod will work already started in the game? if you set. I have not tested it, but considering how Factorio works, enemy bases already spawned should stay there until you either defeat them or force kill them via a console command. Then, new chunks when generated should not have enemies. Same for the alien ore that the mod adds: Existing chunks will not have any but exploring the map and generating new chunks should spawn some. Thanks to everyone for downloading the mod. Let me know if any of you have balance issues. I tried to balance it so that it takes about as much commitment to get the artifacts from the new source as from fighting the enemies. But that is only with my own tests so any feedback on your experience with the mod is welcomed! Am I weird for still wanting there to be aliens around to hassle me, even with this mod? 'none' = Aliens do not spawn. Your only source for alien artifacts is the alien ore.
Wyrm wrote: Am I weird for still wanting there to be aliens around to hassle me, even with this mod? Not at all! And you can enable the enemies by using enemiesSpawn=true in the mod's config.lua. Just remember to also set removeMilitaryTech=false if you want to be able to fight them. And good idea for enemies spawning over the ore. Not sure if this can be done easily but I might look into it next time I work on the mod. 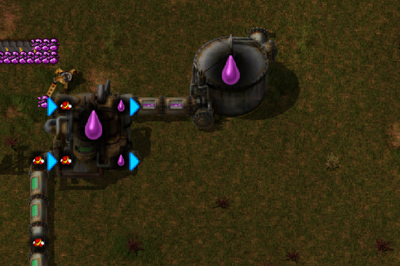 I think this is a rather nice way of wanting to build late game items without the trouble of all the biters. 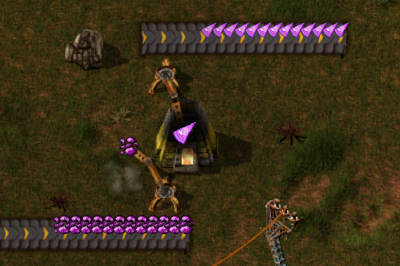 I have been in my runs lately set biters to rather high levels so I could have plenty of artifacts nearby, but that made the early game hit or miss on whether or not I would get overrun from wanting to build big before setting up defenses everywhere. Also the flexibility of being able to tweak the mod to still allow the combat is a nice inclusion. In other news I was enlightened of this mod through Arumba who is using it on his next youtube series. Link below if you want to check it out vachu. Glad you like the mod! And thanks for pointing out the new Arumba series! It's nice to see my mod getting used. This also explains why it suddenly got downloaded so much haha. Watching the Arumba videos now, I'm hoping nothing breaks along the way! Fingers crossed! 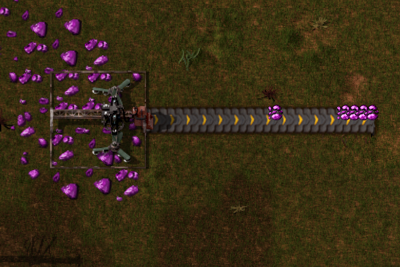 The default to disable warfare tech causes an error when loading with some other mod(s). The mod says on the mod list that it requires 0.11.0 but i can can not get this version any more, is this right? pacmanlite wrote: The mod says on the mod list that it requires 0.11.0 but i can can not get this version any more, is this right? Thanks for the help. Factorio is still in alpha so it is always good to get advice. Well, version 0.11.21 > 0.11.0, so requirement >=0.11.0 is true in that case. I installed the mod in an already existing world. I managed to delete all the aliens nests, worms and biters/spitters, but the recipes will not show up. I had Alien Tech already researched, in the T menu it shows that the recipes should be there, but they won't show up in the Crafting menu. Can you gimme a hand?